When you see scenes like this you know why Taipei really needs an airport express. Last week I arrived at Taipei Bus Station (located right next to Taipei Main Station) and there I saw this huge line of people waiting to board the bus to the airport. When the bus arrived there were so many passengers that I had no choice but to wait for the next one. Overall it took me about one hour and a half to get from the bus station to the airport. Then I arrived in Hong Kong. I exchanged some money, bought something to drink, recharged my Octopus Card (the equivalent of Taipei's Easy Card) and took that amazing, super modern, spacious Airport Express that runs from Hong Kong International Airport to Central in just 25 minutes! When I first came to Taiwan at the end of 2011, I was quite surprised that this island, known all over the world for its high-tech industry, had no direct MRT connection between the airport and Taipei Main Station. I bought a ticket, exited the airport and looked for the bus stop. Then a guy from the bus company shouted at me in Chinese, asking me where I wanted to go. This was the first time I had to speak Chinese to survive in a foreign country. Then I boarded the bus. It took over an hour to get to Taipei Main Station. I must say that for someone travelling alone, for the first time in Asia, who is already quite nervous because of all the expectations and the uncertainty, and who is tired and hungry and doesn't know anything about this new place, the journey from the airport to Taipei is not as comfortable as in Hong Kong, Beijing, Shanghai or other big cities in East Asia. Yes, Taipei indeed needs its own Airport Express, and luckily it will get one by the end of this year! I am very happy about this not only because I am a big fan of public transport and of Tapei's MRT (while I do not like cars and scooters), but also because I think that every great tourist destination needs to offer visitors the highest possible level of comfort. The Taipei-Taoyuan Airport Express will open at the end of this year. A ticket will cost 160 NTD (around 4.60 euros) and the journey from Taipei Main Station to Taoyuan Airport will take only 35 minutes. Currently there are just four ways to get to Taoyuan Airport. The first is the aforementioned bus. 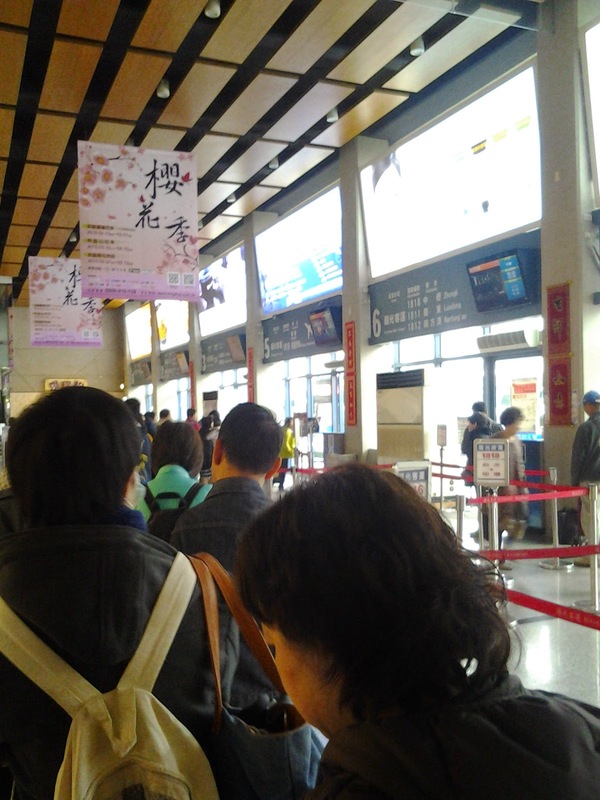 The second is to take a train to Taoyuan and then transfer to a shuttle bus (the trip takes around 55 minutes). The third is to take the high-speed rail from Taipei to Taoyuan Station and then take a shuttle bus (around 30, 40 minutes; tickets cost 190 NTD). However, traffic jams can cause delays. The fourth way is, of course, to just take a taxi. Getting to the airport by taxi costs around 1000 NTD and takes around 30, 40 minutes.